We all know that getting wet is part and parcel of enjoying fishing. Whether the wetness comes from the rain or some accidental splashback, you’ve got to get wet once in a while, somehow. 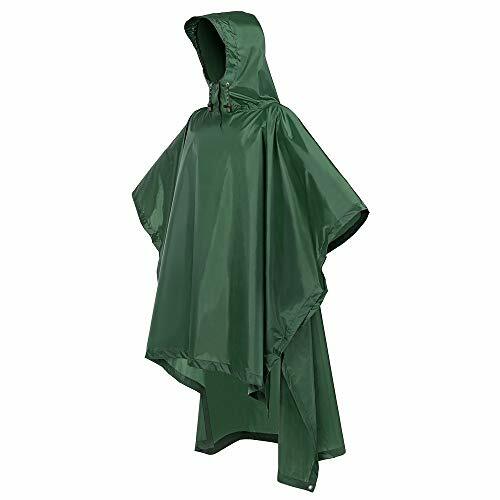 But you needn’t worry especially if you have invested in the best rain gear for anglers. How breathable is the gear? Is it oil and mildew resistant? Do you need a full body gear or just a jacket? It’s only by understanding what you specifically need that you can make an informed choice. But if you’re yet to make up your mind on that, we’d like to present you with the following reviews to help you make an informed bet. Don’t have the time for in-depth reviews? Here’s a quick comparison chart that can help you catch up and make an informed decision, on-the-spot. 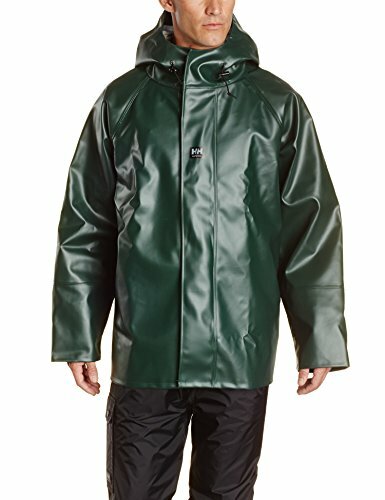 If you’re looking for rain gear that covers your entire body, then this suit from Frogg Toggs would be worth taking a closer look at. 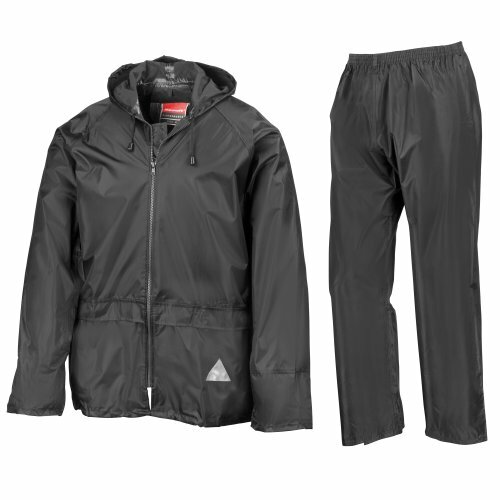 It comes with a jacket and pant both which are made from non-woven, breathable fabric. Yet another thing we like about this suit is that it’s pretty light in weight in addition to being wind-resistant and waterproof. That means it’s a perfect bet for all-day wear. On top of that, it features an adjustable hood along with an open waist design which provides a snug fit. In addition, its leg openings are adjustable – an important feature especially if your fishing boots are pretty large. Made from a well-thought-out combination of 80% polyester and 20% cotton, the Helly Hansen Oil jacket is not only good looking but also full of value. One thing we particularly like about it is that it’s pretty heavy and warm. Heavy in the sense that it’s highly protective but still functional. It also boasts an oil-resistant and mildew-resistant design. So, it’s quite easy to maintain, unlike the Frogg Togg suit. Besides that, it still brings the same old benefits of an adjustable hood and Velcro straps at the back with it. We honestly couldn’t find any major issues to pick with it save for the fact that it’s a jacket only. Otherwise, we think it’s pretty stylish and good looking. You can even wear it as an everyday raincoat especially if you live in a really cold part of the world. Who said you can’t use waders as rain gear? 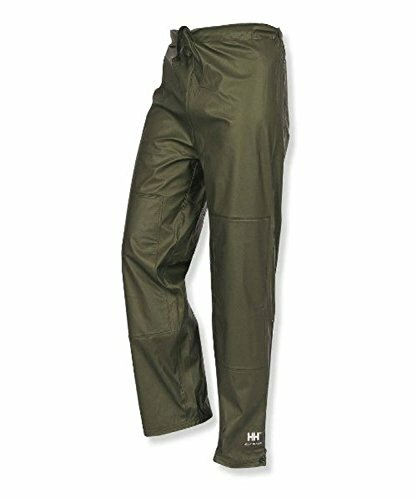 These waterproof, chest waders have all it takes to protect you from the rain. They’re made from neoprene, a pretty versatile material which is also relatively affordable and easy to maintain. Another thing we like about this ear is that it comes with reinforced layered knees which come in handy when you need to kneel down. As you know, sometimes you have to go down on your knees to get some work done. On top of that, this unit comes with top entry pockets which are entirely fleeced. In other words, they provide you with lots more storage room. And let’s also not forget to mention the fact that this suit comes with 200g rubber boots with cleated soles. Lastly, the gear comes with Y-back elastic suspenders with handy opposing buckles. These come in handy in providing with a safe, secure, and comfortable fit. This loose-fitting rainwear is designed to fit loosely, for a good reason. The idea is to keep it this way for what the company refers to as maximum comfort. But the question of comfort is relative, and we think that not everyone would like the loose fit. But the icing on the cake is that this unit is water- and windproof. Indeed, it boasts an enhanced moisture permeability along with an ingenious ability to wick away any moisture that may come into contact with your skin. It also has a handy mesh lining. This soft layer comes in handy in improving breathability and providing you with a nice feel. And to crown it all up, the SwissWell is light in weight and generally well-aerated. If you travel frequently, you’ll be glad to learn that you can easily turn it into a handbag. This saves space in your kayak or travel bag. This is yet another one of the stylish, waterproof jackets that we have come to like. It’s available in black, sky, red, grass, green, khaki, coffee, brick red, gray, and navy. So, you can rest assured to find a color that complements your style and beauty. Moving on, the Wantdo is made from a high-quality polyester fiber and comes with a fuzzy lining. In general, this is quick-dry material. The goal behind this jacket is to keep you as dry and comfortable as possible. Its stylish design is just a plus so you can even choose to wear it as casual wear if you like it that way. If you have managed to get yourself a great, waterproof jacket, then it makes perfect sense to also go for this pair of pants. A closer look at it reveals that it boasts a MicroWeld seam construction. That’s in addition to an elastic waistband which is further enhanced by the presence of a drawcord. Its unique design makes it a perfect bet for wearing with knee-high boots. The pants are generally good looking and decent although they’re only available in green brown and black colors. There are quite a few reasons to fall in love with this hooded jacket. To begin with, it comes 7 different color variants including, black, glacier blue, green, Hi-Vis yellow, Kryptek Highlander, navy blue, and red. On top of that, it comes with fully-taped seams which are pretty long lasting. 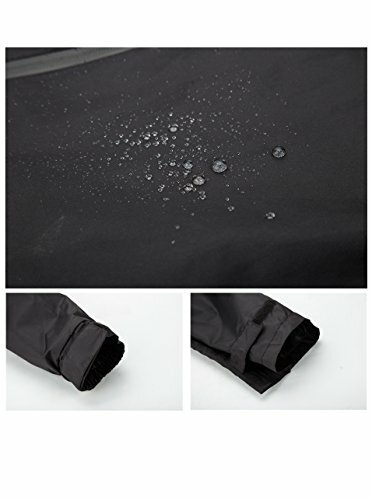 It also is rated at 8K/3K waterproof, breathable level. That means it is ideal for most if not all fishing trips. If you don’t feel like buying the jacket and pants separately, why not go for this full suit from Coleman? It has a really well-made jacket and a good looking pair of pants as well. One thing we can’t help but notice is that it has a really nice nylon lining. The lining itself adds to its waterproof design but without compromising on breathability. The suit also comes with a drawcord waist along with adjustable leg openings. The jacket itself packs two slit pockets that make it easy to access the pant pockets located underneath. If you’re looking for something that’s functional, easy-to-use and feminine at the same time, this one from Terra Hiker would be a good one. So, it’s safe for use to recommend it as the best fishing rain gear for women. It’s made from a high-quality 210 T high-density polyester fabric. This is a pretty strong and durable material. And to top it all up, the company has made sure that all the seams are taken through caulking treatment. By virtue of the fact that it’s a poncho, it assures you of extra space to operate in. And thanks to its roomy back, in particular, you can easily carry your tackle bag while still wearing it. This is yet another one of full suits that come in a wide range of colors. For instance, it’s currently available in black, royal blue, red, olive, neon yellow, and navy blue. What’s more? It’s a heavyweight jacket in the sense that it’s made of the highest possible quality of materials. In particular, it comes with taped seams which provide it with the durability desired for the long-haul. On top of that, it comes with 2 easy to access pockets for the trouser and 2 more for the front pockets. 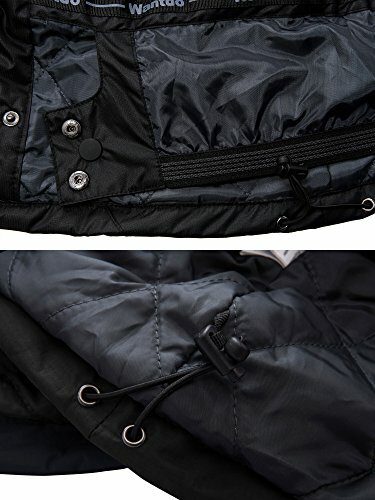 That’s in addition to a full front zip fastening design which makes it quite good fitting and great looking. 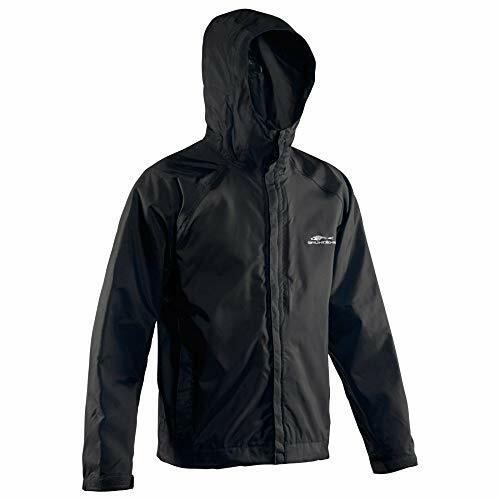 What particular factors should you keep in mind when ordering for the best rain gear? Well, the best choice depends on your specific needs and the conditions in which you use your suit. To break it down, further, these are the important factors to ponder. Ultimately, all you’re looking for is a raincoat. And, therefore, the suit you settle for should be capable of doing its job of keeping the water out. Go for something made using either PVC or polyurethane. While it’s good to go for a waterproof material, it’s important to remember that breathability matters a lot. This is especially important to keep in mind if you’re planning to go fishing in a highly humid place. Otherwise, you might easily end up being wet inside as you’re on the outside. Sometimes, it’s always a good idea to consider getting a cross-functional rain gear. This one would give you the freedom to do all manner of things. Particularly, it can give extra confidence to try other outdoor fun activities. We think that Helly Hansen generally offers the best quality. Unfortunately, you’d need to buy the jacket and pants separately. Therefore, we’d like to make a double recommendation here. 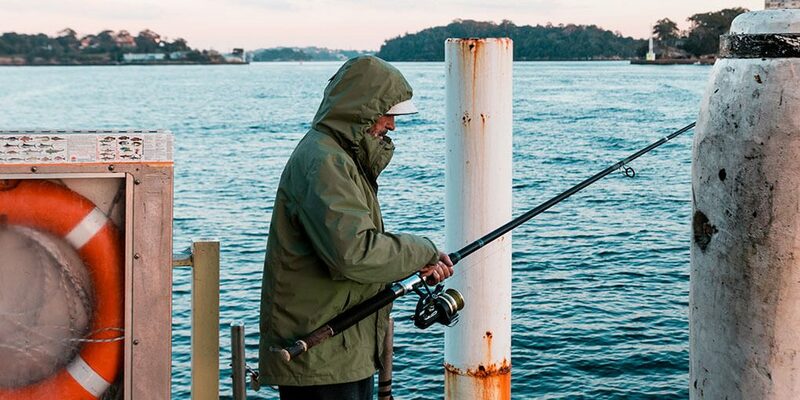 Consider getting the Helly Hansen Oil & Mildew-Resistant Fishing Jacket and Helly Hansen Impertech Waterproof Pants separately. We think you’ll really get a good deal if you do that. 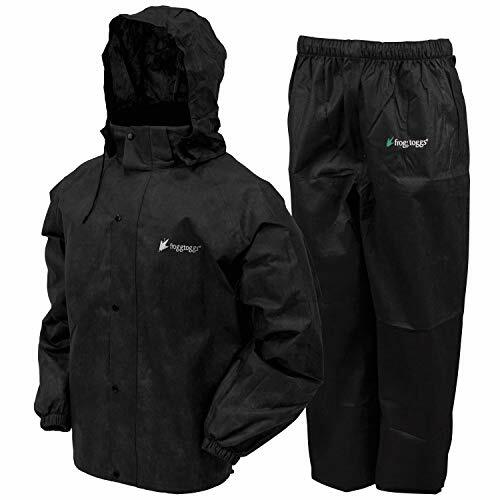 Otherwise, if looking for an affordable, full set, consider getting the Frogg Toggs All Sport Rain Suit. As you can see, there are quite a number of factors that you need to weigh in order to pick the right rain gear. Your budget is one huge factor. 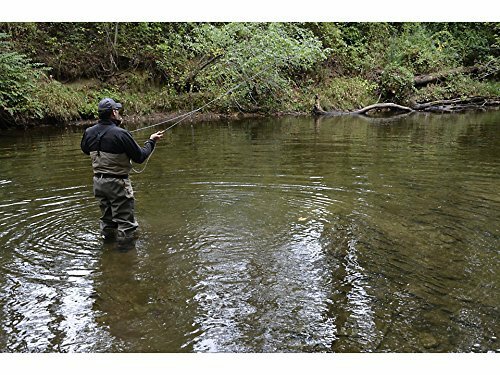 But even then, always make sure that the rain gear for fishing you go for is durable, waterproof, breathable, and above all comfortable.